Maadhu River considered as Sri Lankas' second largest wet land consisting of 32 islands including two main islands providing shelter to around 215 families. Its' an estuary and the many mangrove islands on it constitute a complex coastel wet land eco system. It has a high ecological, biological and aesthetic significance. Being home to 303 species of plants belonging 95 families and to 248 species of vertebrate animals. 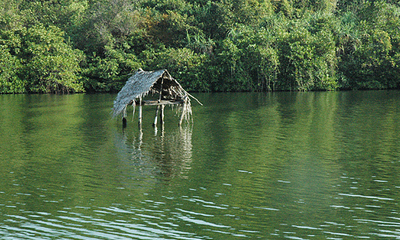 Maadhu Ganga is possibly one of the last remaining treats of pristine mangrove forest in Sri Lanka.